Ultra-Saw Wood Wheel This versatile carbide wood cutting wheel cuts a variety of wood materials including soft and hard wood, plywood, composites, laminate flooring, drywall, PVC and plastic. Segmented carbide design cuts 2x faster and is 2x longer lasting than the SM500 Saw-Max wood cutting wheel. Four-inch diameter wheel. 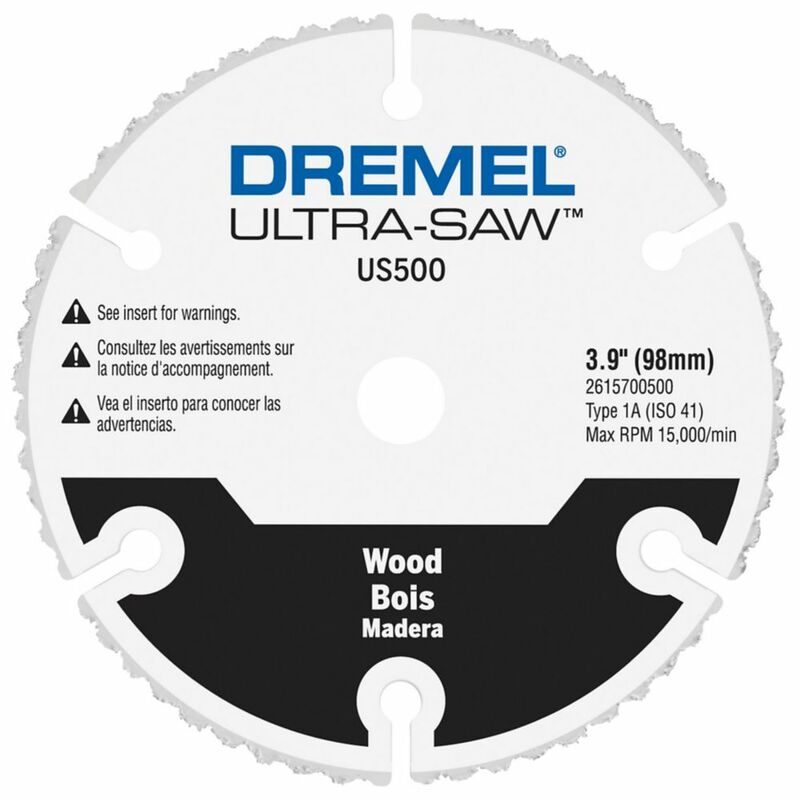 Ultra-Saw Wood Wheel is rated 4.4 out of 5 by 37. Rated 5 out of 5 by HomeDepotCustomer from Just like the original . Just like the original . Rated 5 out of 5 by stktder from Love this item. I bought two, plus some spacers to cut a datto in my wood. It worked wonderfully. Love this item. I bought two, plus some spacers to cut a datto in my wood. It worked wonderfully. Rated 1 out of 5 by John from I used it on a RotoZip to trim laminate flooring.... I used it on a RotoZip to trim laminate flooring. It creates a HUGE cloud of dust and gets dull and begins to smoke VERY quickly. Plus it Cost $15. If I was not in a bind I would have found an alternate solution.